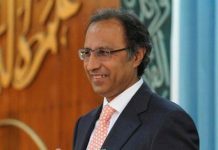 Earlier this year, Pakistan was put on the grey list of the international watchdog against money laundering and financing of terrorism – the Financial Action Task Force (FATF). 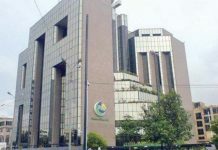 Along with Ethiopia, Serbia, Sri Lanka, Syria, Trinidad and Tobago, Tunisia and Yemen, Pakistan was put on the grey list due to structural deficiencies in anti-money laundering (AML) and combating financing of terrorism (CFT). In the first part of this series, we will look at what money laundering is, the different stages of money laundering, and how it poses risks to businesses. The second part will focus on combating financing of terrorism. 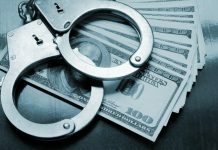 Money Laundering is the process by which criminals attempt to conceal the true identity, nature, origin and ownership of the proceeds of criminal activities in order to make it look legitimate. In simple words, money laundering is the process of converting black-money into white-money by means of financial or banking channels. 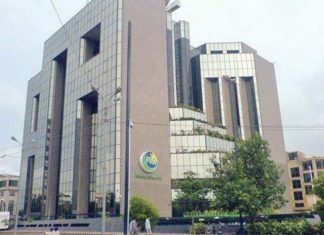 The term “laundering” is used because criminals need to turn their “dirty” money into clean funds that can be used without raising any suspicion from concerned authorities i.e., the Federal Board of Revenue (FBR), the State Bank of Pakistan (SBP), the Securities and Exchange Commission of Pakistan (SECP), and the Federal Investigation Agency (FIA). Channeling illegally obtained funds into the financial system means that it becomes harder to trace and confiscate those funds. Drug traffickers, armed robbers, terrorists, illegal arms dealers, fraudsters, and tax evaders – all use various methods of money laundering to launder the proceeds of their crimes. 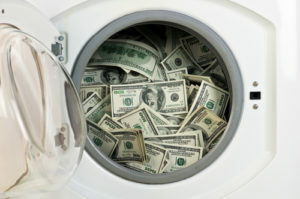 Money laundering, according to the Financial Crimes Enforcement Network (FinCEN) has three classical stages such as Placement, Layering, and Integration. However, it is important to remember that money laundering is a single process or cycle. The placement stage represents the initial entry of the “dirty” cash/cash equivalents or criminal proceeds into the financial system. These illicit proceeds may be placed in financial system in number of ways. For example, criminal proceeds can be deposited into banks as ‘cash deposits’, or in ‘fixed deposit accounts’. Multiple small deposits to the bank in the same account or in multiple accounts, or multiple deposits under reporting thresholds can be made by the money launderer. Purchases of foreign currency notes, bonds and financial instruments i.e., Rupee Traveller’s Cheques (RTCs) and Demand Drafts (DDs), etc. Money launderers can also use third parties to make deposits, or use services of traders who may also deposit illegal money with their funds. These criminals can also use legitimate cash intensive businesses to co-mingle illicit funds with the day`s legitimate sales receipts. According to the Association of Certified Anti-Money Laundering Specialists (ACAMS), the layering of financial transactions may comprise of transfer/ movement of funds from one account (of a territory, institution or country) to others, investing illicit funds with various business firms as an investor, temporary loan adjustments for self and associates, and investing illegal funds in multiple investments i.e. in real estate, luxury items, valuables, prize bonds, stock markets, etc. The integration stage expresses the process of re-uniting the laundered money back into the legitimate economy. This is accomplished by conducting apparently legitimate transactions to disguise the illegal origins of funds, allowing the laundering of funds to be disbursed back to the criminals. Money Laundering/ Terrorism Financing (ML/TF) poses serious risks in various areas of financial/ banking business. Thus, banks and other financial institutions are more vulnerable to be used by criminals to launder their funds, and circulate their money for terrorist-related activities around the world. Reputational risk possesses a potential threat to financial institutions, since the nature of our services require maintaining the confidence of customers, shareholders and the general public. Accordingly, all employees of a business should strictly be advised to protect themselves by means of continuous vigilance through an effective compliance of global and local AML and CFT laws, procedures, and directives. Operational risk is the potential for loss resulting from the failure of internal processes, people and systems, or the impact of external events. Operational risk of the company may arise due to in-adequate AML and CFT policy, lack of appropriate due-diligence, monitoring procedures, internal control mechanism, etc. 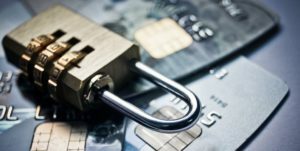 To this effect, if any financial institution is not able to manage its operational risk effectively, it can disrupt or adversely affect its business. Legal risk is a possibility that lawsuits, adverse judgments or contracts that turn out to be unenforceable can disrupt or adversely affect the operations and the overall condition of the company. The company may become subject to lawsuits resulting from the failure to observe mandatory AML and CFT directives or practice the required due diligence measures. Consequences of such failures may lead to fine, especial penalties, cancellation of company`s license, etc. 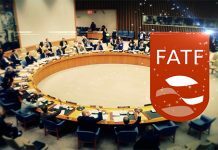 Although Pakistan’s placement in the FATF grey list may well be a political move by the United States to isolate Pakistan, it still can be used as an opportunity by the government to streamline all financial channels to ensure greater transparency, accountability; and reduce the opportunity for criminals to use these channels to launder money. On the other hand, businesses such as money-exchanges and banks which conduct regular international transactions should be aware of international AML/CFT policies, and ensure compliance to avoid getting entangled in the political, economic, and operational risks they pose.